Walking into a Whistler bike shop feels much like walking into a friend’s garage. There’s lots of tools and toys to look at as the mechanic with grease-blackened hands patiently wrenches bikes back into pristine condition. It’s a place buzzing with potential energy because each bike in the shop represents a whole lot of freedom just waiting to roll out. Luckily, The Insider has compiled an easy rundown on how to determing the most appropriate steed for your biking vacation and what local shops to hit up. There’s a handy chart at the bottom to make it easy to find the right bike at the most convenient location and next week we’ll dig into local bike tours. But for now, hop on and let’s ride. Any bike will pedal on the Valley Trail, but if you’re sticking to pavement and the machine-groomed trails in Lost Lake Park, a hardtail (no rear suspension) cruiser bike is your best bet. A plethora of shops throughout Whistler rent a great selection of hardtails in all sizes, including kids’. 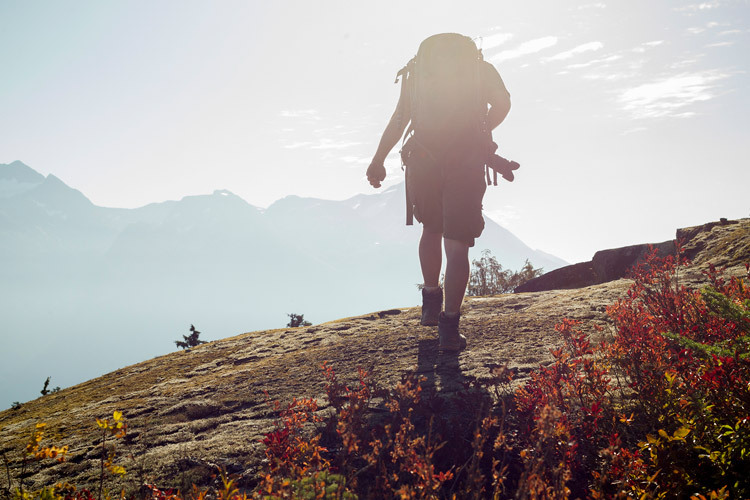 Check out this Whistler How To: Valley Trail video for some locals tips. Some great crusiing bike rental spots in the Village include Summit Sport, Whistler Bike Co, Mountain Riders and Sportstop. Comor and Skiis & Bikes are easy if you’re in the Marketplace and Can-ski and Arbutus Routes in the Upper Village area. 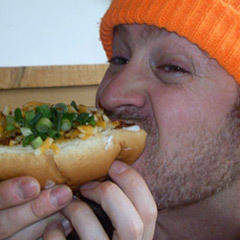 Can-ski also has a location in Whistler Creekside and Coastal Culture is worth hitting up in the Creekside area too. Feel like cruising through the valley but not sure if you have the fitness to make it the whole way? Pedal-assisted electric bikes or “E bikes” are becoming more and more popular both in urban centres and resorts, allowing folks of almost any age and physical condition to enjoy some two-wheeled exploration. You can pedal when you want or let the silent electric motor give a little boost when needed. The Salomon Store in Whistler Village rents E bikes, or for a guided E bike tour head try Whistler Eco Tours, Canadian Wilderness Adventures or WhistlerEBikes.com. 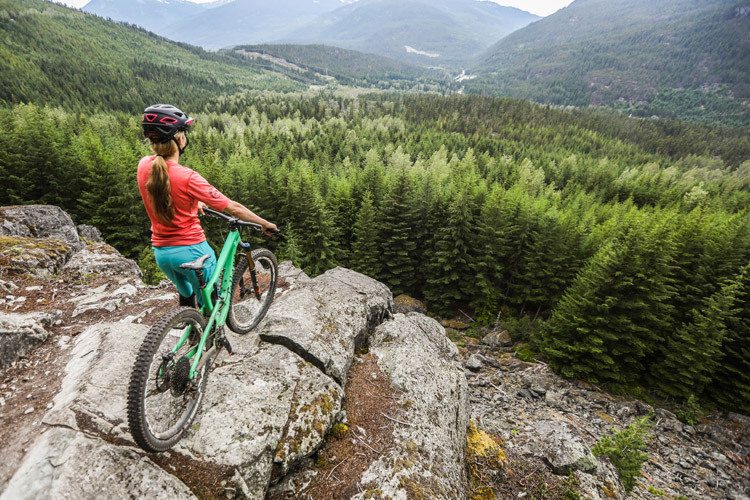 The most popular form of riding in Whistler is cross-country — pedalling up hills to enjoy singletrack descents with light-yet-sturdy full suspension bikes. With dozens of makes and models to choose from, the best way to rent is to let a friendly staff member at any shop (see graph below) size you up properly and recommend a bike that’s suitable for the trails you want to ride. 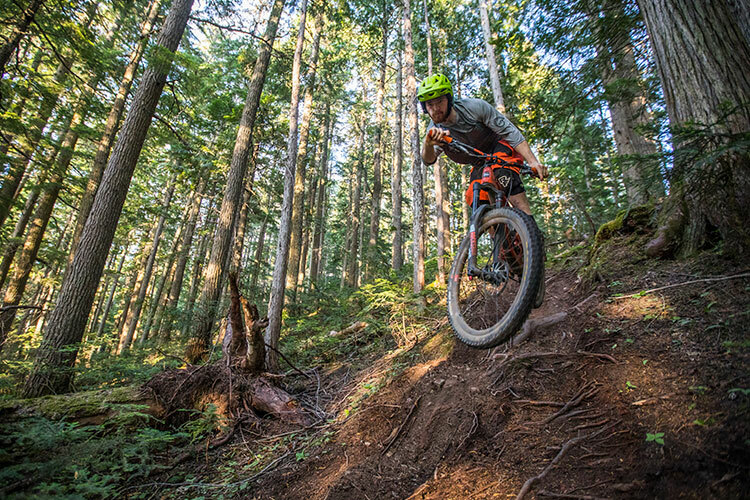 If you’re unfamiliar with Whistler’s vast singletrack network the best place to start is Lost Lake Park. 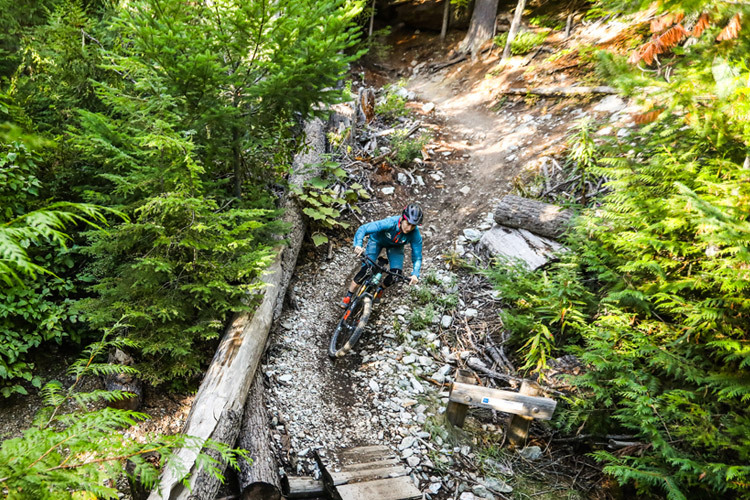 Trails in the Lost Lake network range from beginner, machine-groomed rides like “Tin Pants” and “Molly Hogan” to intermediate singletrack featuring wooden bridges and small rock gardens. Lost Lake Park is just a few minutes ride from Whistler Village but you can also rent great trail bikes at Cross Country Connection, conveniently located right at the entrance to the park. From Lost Lake the rest of Whistler’s XC trails only get steeper and more technical, so be sure you’ve got the skill to match the extravagant bike under you before venturing out into the great beyond. 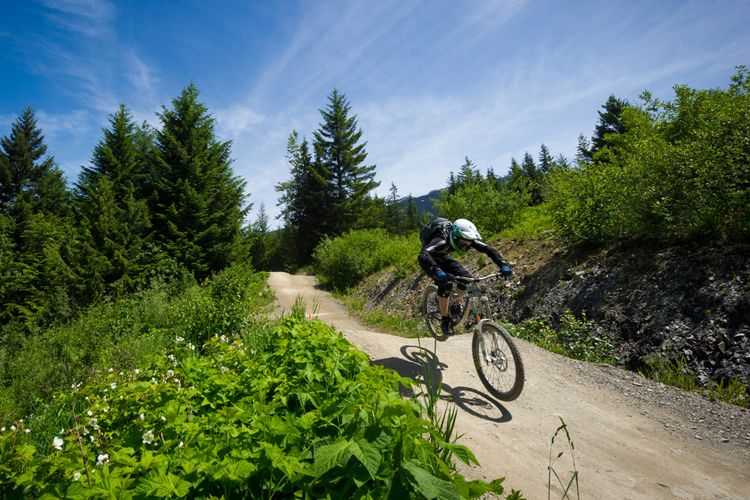 XC and enduro bikes can be rented at FanatykCo, Evolution, Whistler Village Sport and Summit. Comor has them in Marketplace and Arbutus Routes will set you up in the Upper Village. 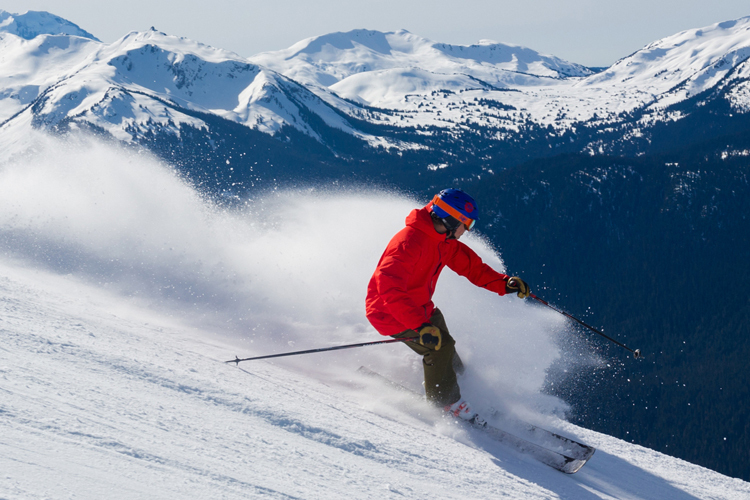 Also, be sure to check out Whistler.com’s online trail database to get a sneak peak at what is available here. With longer travel suspension and more relaxed frame geometry, downhill bikes can handle everything the Bike Park throws at them. Look for these burly bicycles at G1 Rentals (next to the Whistler Gondola), Summit Sport, Fanatyk Co Ski & Cycle, Evolution, Whistler Village Sports, Whistler Bike Co and Arbutus Routes. You should always wear a helmet when riding a bike but it’s mandatory in the bike park, most shops have good safety gear available too. Road cycling may not have the exhilarating terrain of singletrack mountain biking but you can get incredible views and, as any road rider will assure you, it’s all about the speed. 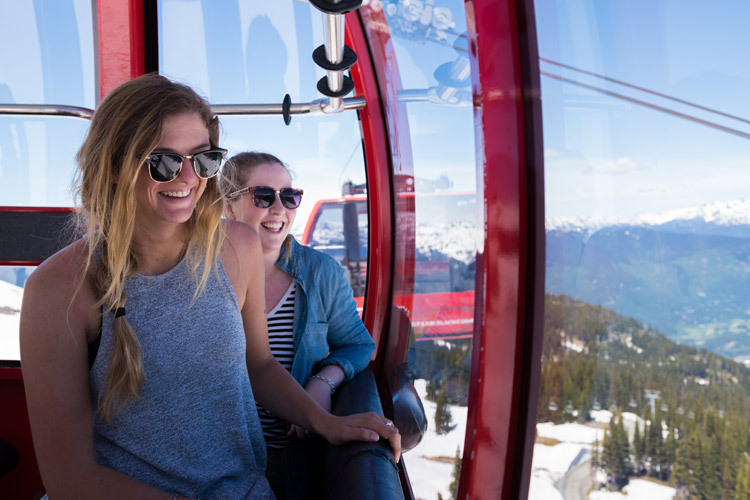 With those skinny, high pressure tires and aerodynamic bike design there’s no more efficient human powered vehicle than the road bike and a pedal out to Whistler Olympic Park in the Callaghan is a p[erfect combination of speed, fitness and mountain views. (Or if you’re really motivated, ride all the way to Pemberton and back.) Not all Whistler shops stock road bike rentals but Evolution, Summit Sports and Arbutus Routes do. No matter what bike you are on the most important thing about biking is Whistler is to just get out, get riding and enjoy the area. Regardless fo your experience level the staff at any of the local bike shops can set you up with the right bike for your needs. And for more info on how to make the most of your riding time, look out next week for The Insider’s guide to bikes Part 2- Taking a Tour. If you want to sort out your rentals before you arrive you can do so at Whistler.com and they also have a lot of bike friendly accommodation options too.